포트 세인트 존스 - 포트 세인트 존스에 있는 호스텔. 포트 세인트 존스의 지도, 포트 세인트 존스에 위치한 호스텔 사진 및 후기 정보. 포트 세인트 존스에 호스텔, 저렴한 호텔, 아파트, 게스트 하우스, B & B를 찾고 계십니까? 포트 세인트 존스의 모든 최고의 가격은 kr.Dorms.com안에 있습니다. 매달 수천명의 여행자들이 이곳에서 예약을 진행하시듯이 고객님도 포트 세인트 존스의 저렴한 가격에의 호스텔을 안전하게 예약하실 수 있습니다. 웹사이트에 고객님이 원하시는 핫 트렌디 시내 주변의 호스텔을 쉽게 찾을 수 있으며, 대학가, 기차역, 공항, 모든 포트 세인트 존스의 관광명소에서 가까운 호스텔을 찾을 수 있습니다. Our hostel is 4km on a tarred road from town where there are banks, shops, traditional African shops and restaurants. Second beach is a short walk from Amapondo Hostel. Coastal and forest hikes can be explored from the hostel. River and ocean trips can be arranged from the local tour operator. 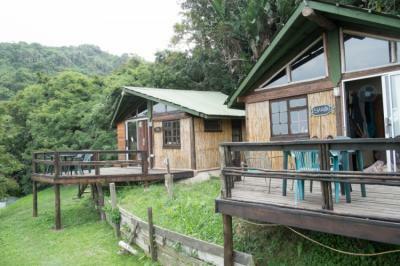 Guests can enjoy reading a book in a hammock or take an excursion to Bululo Waterfalls or nearby mud caves. Tours can also be organised for Silaka Nature Reserve, 3 km away by car. awesome vibe! The bar turns into a major hang out spot, which is really fun. Some of the tours were good too.